What's going on in the Ghetto? I mean Gatta. Dean Morrison King-Hit and knocked unconscious in Coolangatta bar. What’s going on in the Ghetto, I mean Gatta? The last story I wrote about Coolangatta was about locals banding together to help one of their own and the vibes were good all round. Unfortunately the little slice of paradise I call home has yet again proved that it could well be in the running for an Underbelly series of its own in the near future. By day, Coolangatta is a surf Mecca, delivering unbelievable waves, weather and water temps to locals and tourists alike. By night however it seems yet again we shouldn’t venture out into its seedy streets. Have you seen the movie “I am Legend”? Basically Will Smith rocks around a desecrated New York City by day, unhindered by a bunch of human-loving zombies that only come out at night to try to eat him. Far-fetched Hollywood hogwash you say? Well Coolangatta, for many, has become just like that. At night the zombies seem to come out, fill themselves up with booze and run riot through town and anyone in their path is a possible victim. The latest victim - WCT surfer and one of Coolangatta’s favourite sons, Dean Morrison. Deano was a having a beer with his buddies at the Sand’s hotel in Coolangatta on Saturday night. Just prior to the boys pulling up stumps for the night a 20-year-old man king-hit Dean, knocking him unconscious. It was initially thought that he had been struck with a bottle and word quickly spread that Dingo was critical and brain damage might have been on the cards, luckily though he scraped through with facial fractures and lacerations. Five days later and Dean is resting up, still unable to open his eye. I jumped on the phone with Dingo’s long time mate Jay Phillips to get his take on Cooly after dark. 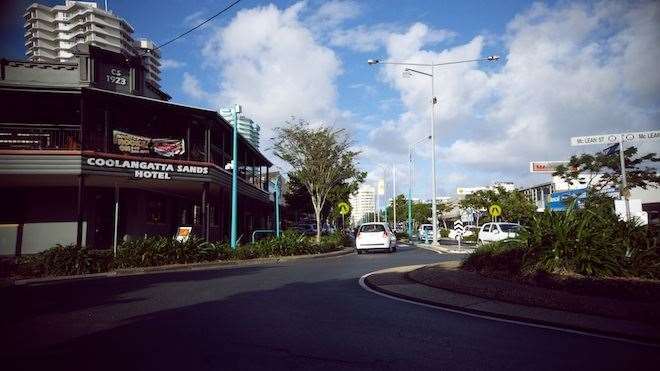 A local business owner at the south end of Coolangatta said, “We don’t have any drama’s down this way, It’s always up the north end of the strip, I think if the pubs put on shuttle buses and they closed some of the food joints a bit earlier, it would keep people off the street after drinking all night”. At this stage Dean will be surfing at J’bay looking to improve his rating prior to this years cut off after Teahupoo. We wish him luck and a speedy recovery.